Olivier Lenoir. 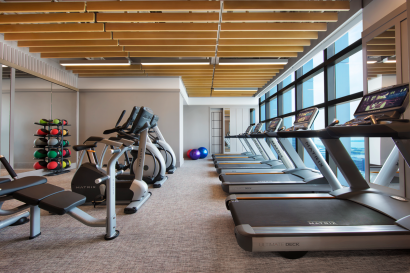 Started his career with Hyatt Hotels Corporation 17 years ago and has worked in Hyatt hotels across Asia including Jakarta, Shenzhen and Taipei. 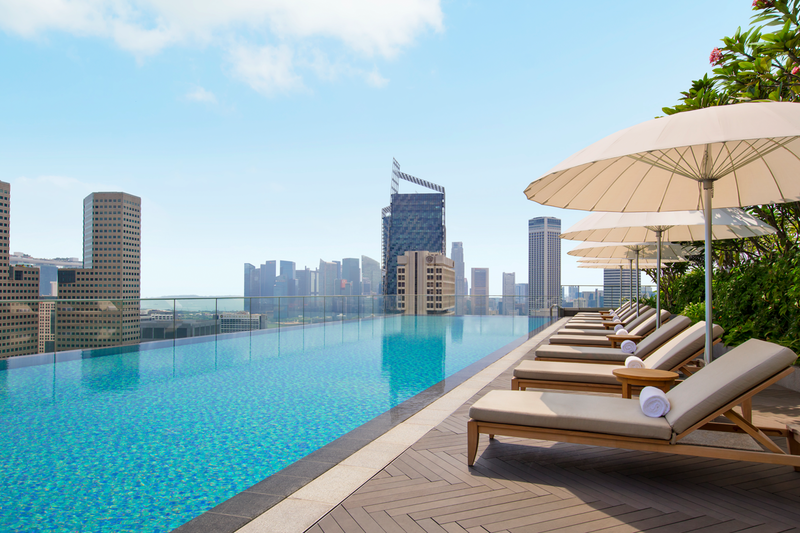 5-star boutique inspired, luxury lifestyle hotel. 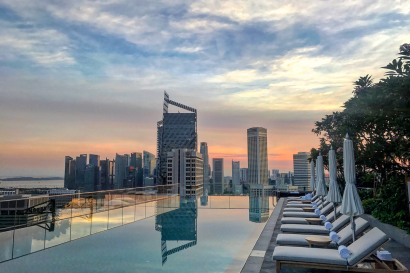 The first Andaz in South East Asia and the 17th world wide, Andaz Singapore aims to spark off a discovery of the rich culture of Singapore and inspire guests to experience the city from new perspectives. Andaz Singapore is inspired by our rich and dynamic neighbourhoods and was created with the intention to be exemplary of exploring the streets of Singapore. We want guests to arrive as visitors and leave as locals. 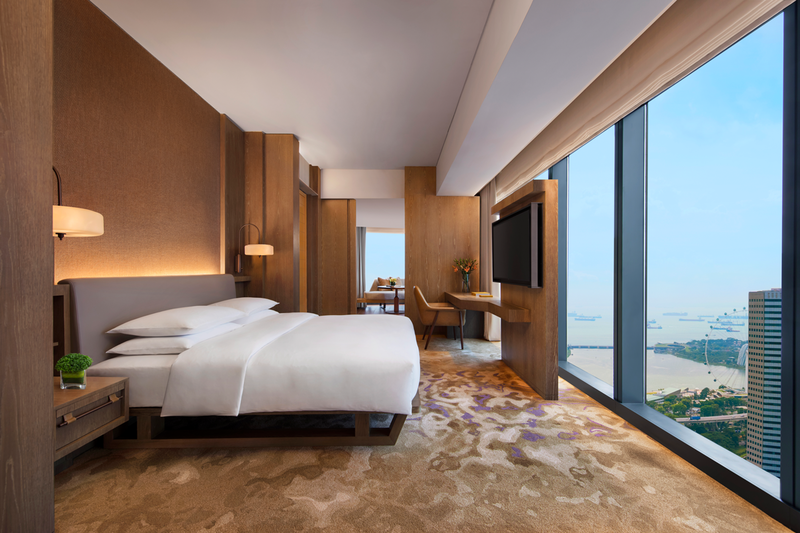 Andaz Singapore was designed by renowned Hong Kong interior designer, Andre Fu, who incorporated local flair into his vision for the design and deco of the hotel. 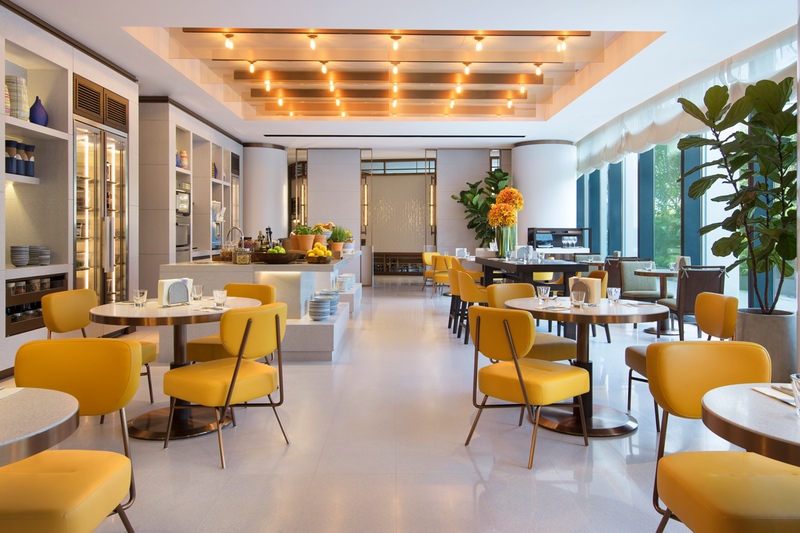 The dining and event spaces in the hotel have been fashioned as a multi-layered alleyway journey to mirror the local shophouse culture found in our neighbourhood, encouraging openness and exploration. 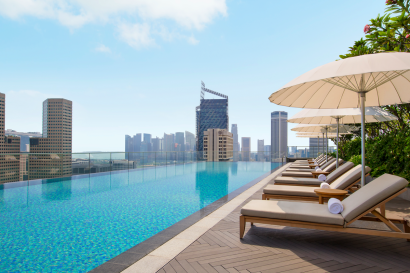 Situated in Bugis, Andaz is at the crossroads of several notable districts in Singapore such as Kampong Glam, Little India, Marina Bay and the Central Business District. 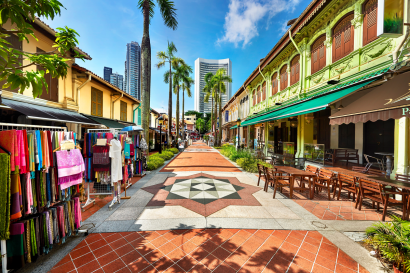 Historical landmarks and neighbourhoods a walking distance from the hotel, including Kuan Yin Thong Hood Cho Temple and Masjid Sultan Mosque, which gives a glimpse of local religious history. Haji lane and Arab Street in the Muslim Quarter also offers cultural insights for tourists. 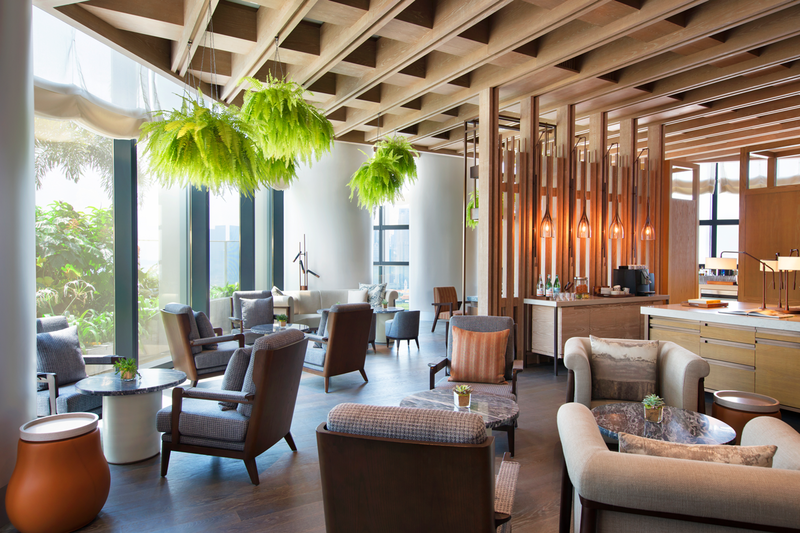 The uniforms at Andaz Singapore were created by local fashion brand ‘In Good Company’ in 15 unique designs that staff can mix and match to suit their personal styles. Andaz Pale Ale, which is available to all in-house guests within the complimentary in-room minibar was specially created for Andaz Singapore by local microbrewery, RedDot Brewhouse. 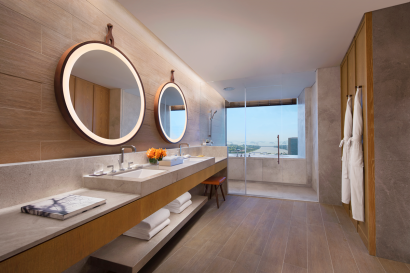 Bathroom amenities were created by French perfumer, Christophe Laudamiel, who spent days exploring local nooks such as Arab Street, Little India and Botanic Gardens to create a scent unique to Andaz Singapore, called Singapore Fusion #19. All suites include en-suite bathroom with bathtub and floor to ceiling windows with view of harbour or city skyline. – Icehaus: Light and easy dining, with cold cuts, sustainable seafood, heirloom salads and locally-inspired desserts. 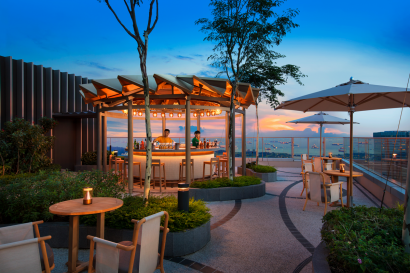 – Smoke and Pepper: Modern-Asian barbeque grub prepared over an open-fire charcoal grill. – Auntie’s Wok and Steam: An ode to Singapore’s tze char food culture specialising in dim sum, rice, noodle and meat dishes. 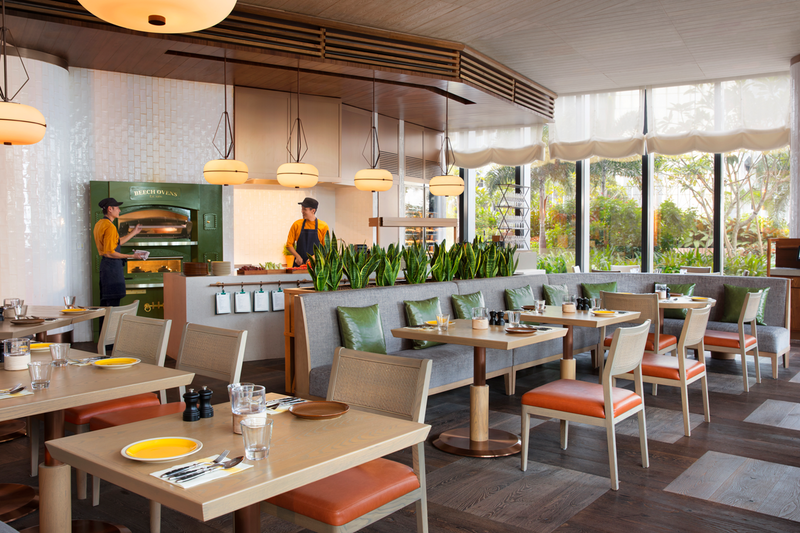 – Green Oven: Hearty meals with a twist, prepared in one giant green-colour Beech oven. – Plancha’ Lah! : Up-close-and-personal culinary action re-defining classic international dishes onto a hot plate. 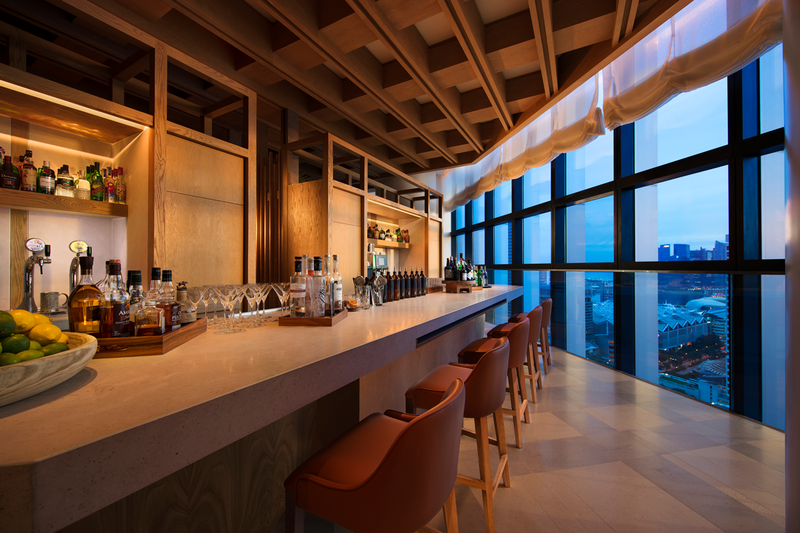 – Bar Square: A sky lobby bar serving locally-inspired cocktails with a side of city views. 665°F: Premium steakhouse with halal certified meat cuts on 38th floor with city skyline views. Mr Stork: 39th floor rooftop bar with panoramic views of the city. 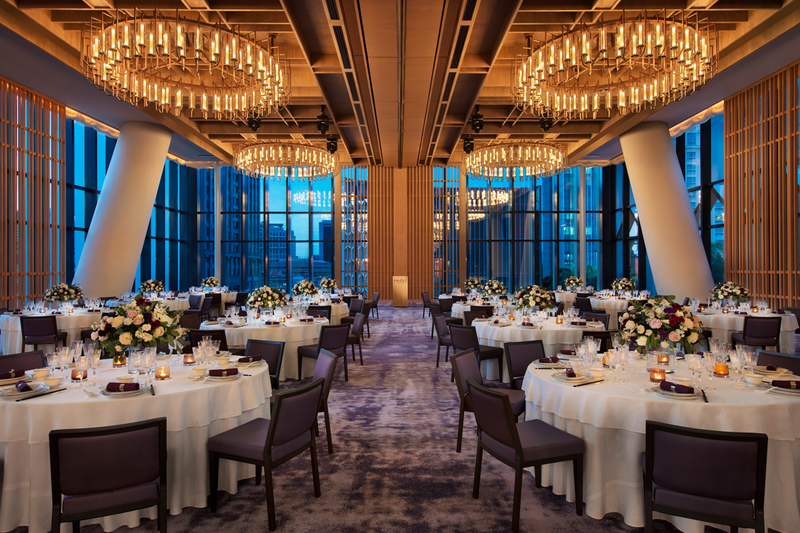 – Glasshouse: 520 sq m, sit down dinner capacity of 280 people/28 tables, reception capacity of 400, floor to ceiling glass panels on three sides, natural lighting with city view, includes pre function area of 2475 sqf. – Garden Studio: 200 sq m, sit down dinner capacity of 100 people/10 tables, reception capacity of 120, natural lighting with garden view, pre-function area of 1270 sqf which includes kitchen, access to garden patio. – Studio I: 75 sq m, banquet capacity of 40, reception capacity of 60. – Studio II: 65 sq m, banquet capacity of 40, reception capacity of 60. 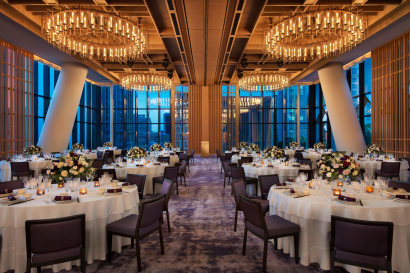 2017 – Architecture of the Year from Tatler Design Awards 2018.